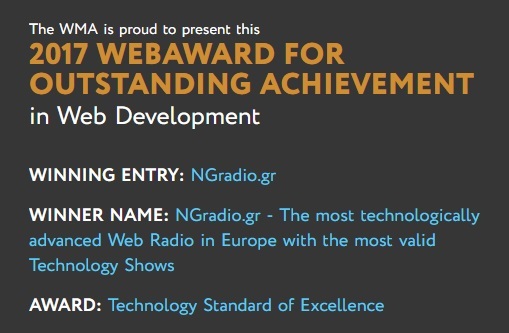 NGradio is the winner for the third year running of 2017 WEBAWARDS FOR OUTSTANDING ACHIEVEMENT in Web Development (Web Marketing Association)! 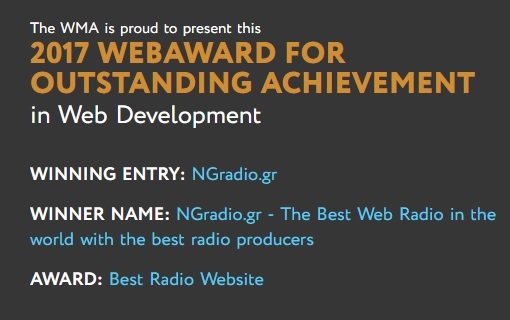 This is the Official announcement: “The WMA is proud to present the winner of 2017 WEBAWARD FOR OUTSTANDING ACHIEVEMENT in Web Development, NGradio.gr – The Best Web Radio in the world with the best radio producers for the Best Radio Website and Technology Standard of Excellence ”. 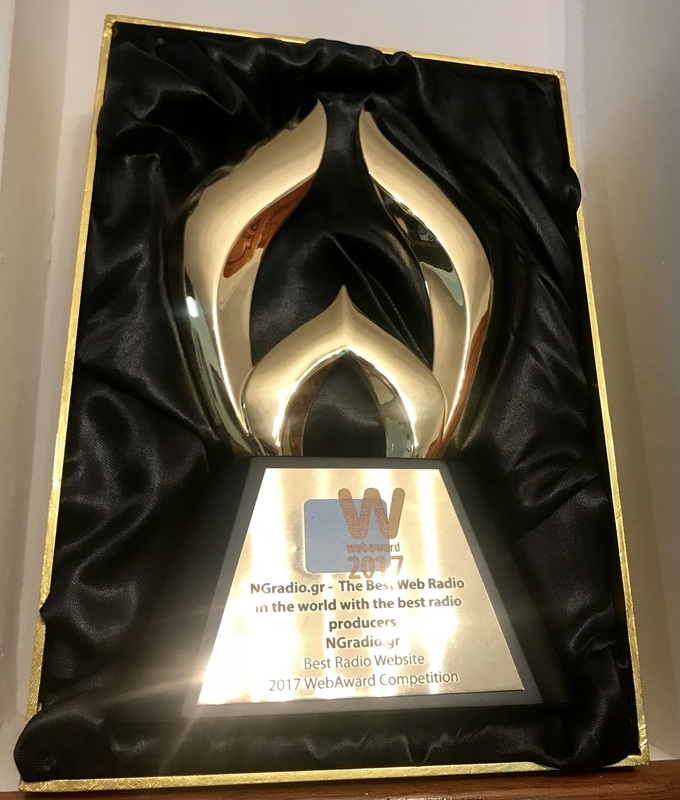 We would like to thank from our hearts WMA and each one of the judges for giving us this award! 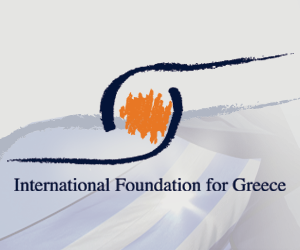 It is a great honor to our country for a Greek web radio to be distinguished worldwide! Many thanks to all of the NGradio team – producers and associates- who give their best every single day. But our deeper gratitude goes to you! All of our listeners and viewers for your immense contribution to the existence of this web radio!